Scholarships Are Waiting For Applicants! The Aim Higher Scholarshipis a $1,000, student-based scholarship awarded to K-8 students from families with demonstrated financial need. 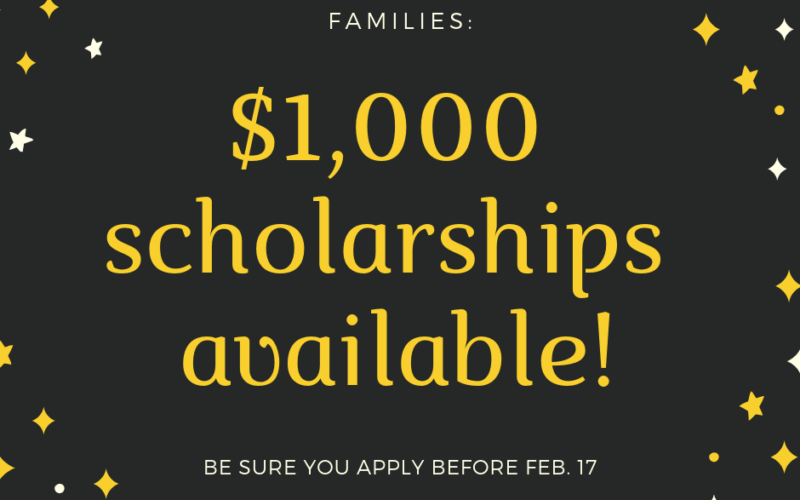 Once a student is awarded the scholarship, they will continue to receive an additional $1,000 scholarship each year up to and through 8th-grade. The scholarship will also follow the student from year to year. The CSAF/Aim Higher Scholarshipis a $1,000 student-based scholarship awarded to five K-8 students from families with financial need at each eligible Catholic school. The scholarship is awarded annually based upon demonstrated financial need. That means that five scholars at our school WILL get the scholarship if they apply. Many families already receive financial aid directly from Ascension. These scholarships will help us stretch our financial aid funds so more scholars can attend our school. Application is made through TADS, which we already use for enrollment and our own financial aid process. Apply today!